Gavri Devi gets Rajasthan Ratna Awards 2013. 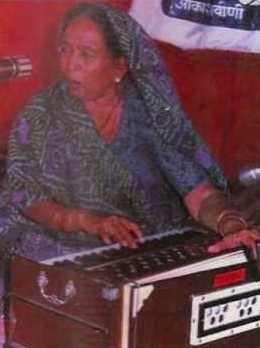 Gavri Devi (14th April1920-29th June1988) was one of the most successful, disserving singer of mand style of singing from Rajasthan. Apart from giving stage shows in rajasthan she gave her performance in orrisa, karnatka, tamilnadu, Maharashtra & kerla . When India organised the Indian Festival in Moscow (Russia) she gave her special performance their.